Some Wendy Slotboom Frolic in GREEEEEENN! CALLING ALL FABRIC JUNKIES!! This one is for you. Please calm down, and wipe the drool from your chin. ACK!! ok, I'm just playing you can do the happy Dance now. Charlie and Lindsay of Hawthorne Threads, The "IT" factor when it comes to fabric shopping. Not only do they continue to give FANTASTIC customer service, they really listen to their customers in terms of what they like. Bringing new hip trends from up an coming fabric designers to your doorstep everyday. Lindsay takes a moment to tells us what Christmas means to her family. Lindsay; Charlie and I love that our little ones will be old enough this year to be awed by the wonder of Christmastime. We're looking forward to the quiet stillness of Christmas Eve when the excitement and anticipation is tangible in the air. Seeing this time of year through Aidan and Annie's eyes our hearts become young again and we're awakened to the magic that this season brings.We can't wait to hear the tiptoe of eager little feet on Christmas morning! Charlie and Lindsay really put some thought into this website. Offering discounts if you become a frequent shopper, or even if you buy three or more yards. The discounts can get VERY BIG, to the more you buy the more you save. They have been a very reliable and crucial part to helping me build my etsy business as well. So here is my SECRET, I am offering you my key to success. 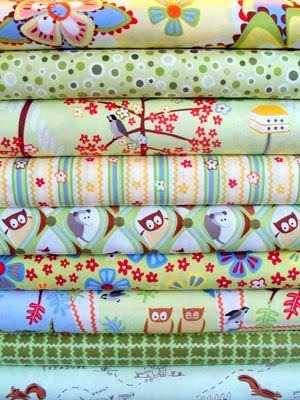 Hawthorne Threads Is generously donating a half yard bundle of Wendy Slotboom's Frolic in green. Can we say YUMMY!! Those cute little owls are calling out to me. I must tell you that I ordered some last week and it's even cuter in person. Also take some time to send Charlie and Lindsay an email or use their LIVE CHAT option to tell them about what fabric you would like to see them carry, or offer some feedback on the new site. they love hearing from their customers. I have purchased fabric from Lindsay and Charlie before, and you're right--GREAT customer service! Now I am off to twitter about this giveaway. I already follow your blog (love it, by the way! I'm loving the Patty Young Flora and Fauna right now! This very collection is my favorite line at Hawthorn Threads! I signed up for their newsletter last week. I am already a follower. I love your blog! Do I need to make separate comments for all of these, or will one do? I love the SEI Dill blossom fabric, it's my favorite! I have the paper and had no idea it's become a fabric. 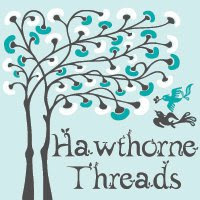 I subscribe to Hawthorne threads newsletter, great newsletter! Odyssea by Momo is my favourite. favorite fabric line--do I have to choose just one? :-) Any thing with an owl on it gets me. Plus the Odyssea collection keeps finding its way into my shopping carts. 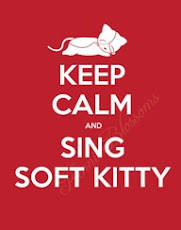 and I follow Sew Fantastic! Ooh, I really like the owls too! And it's mean to make us pick just one favorite in the Hawthorne Threads shop - I'm diggin' Meadowsweet and the Monaluna prints. I love the Frolic line...especially the green and the pink colorways. I am glad to find Hawthorne Threads! Thanks for the giveaway! I would love to win. Cutie Pie, I love the little girls, so sweet! I signed up for the newsletter! Thanks again! mmmm! Love me some MINGLE! Sandi Henderson's "Meadowsweet" for definite! And, already a huge follower! I love What a Hoot and I've become a follower <3! I am already subscribed to the Hawthorne Threads newsletter. Thanks! 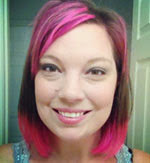 AND I follow the Sew-Fantastic blog - yay!!!! i think i love the bloom and grow line...it would look so pretty with some natural colored linen. this is super exciting. i love the wendy slotboom fabrics. I am most excited about the Amy Butler full moon polka dots reprint! I hadn't started sewing yet the first time they were printed! I really like the lantern bloom in lime. Also the Bloom and Grow in warm. I love the California Dreamin' Collection by Jenean Morrison . . . really fun and bright! And I am a follower of Sew-Fantastic! I'm torn between It's a Hoot and Meadow sweet. I really need to buy some new fabric! Thanks for another great giveaway today! I'm already signed up for the Hawthorne Threads Newsletter! I'm a follower of your blog too! What a great giveaway. Lots of fun things fabric on the site. I think I like Alhambra II the best. Oh my gosh, how am i supposed to pick one fabric I liked over there? I got lost in there for a long time! I can't seem to shake the Poppy Box in smoke, it keeps coming back to me since it's so unique. But out of everything I would buy the Love blue and white dots on flannel and back my next baby quilt in it! What darling fabric that is! I would love to win it, but I have won Christmas fabric from hawthorne threads already and so many wonderful giveaways lately, so I'll give someone else a chance! I love their newsletter, and of course your blog is one of my favorites! Thanks for keeping it fun for everyone! How can someone have just one favorite when it comes to fabric lines?????? That is not a fair question. I actually ordered some of that frolic fabric last week as well. I for the owl and the squirrel treasure map. I guess I would choose that for the moment. I love the Amy Butler Love line! I have made a purchase. Oh you know I'm entering this one! Fabric? YES PLEASE! I am also already a follower of your lovely blog! And I am already subscribed to Hawthorne's newsletter. Shared on my facebook fan page with all my facebook fans! Loving the giveaways! Thanks again! Oh I am sooo linking Wild Thyme. What a super giveaway! I have your button posted. I also receive their newsletter. Also signed up for their weekly newsletter. Thanks for letting me know about this great resource! I love the style of prints they offer. i love hawthorn threads! best customer service from US to Australia any day! love all the fabric.. but really loving patty young flora and fauna at the moment. I get their weekly newsletter!!! I love Tanya Whelan's new Dolce line. So pretty! I'm signed up for Hawthorne Threads' newsletter! Thanks for the heads up...I love to find great new shops! I agree, that fabric is even better in person! I rather like the Meadowsweet! I've signed up for the newsletter too! I am following your blog and you are right about Hawthorne Threads! Thanks! I love this new site!! I signed up for their newsletter. I follow your blog as well. Very wonderful.. I really like Hawthorne Threads, such a nice online shop...big sale section and huge variety. love that they give discounts as your buy more, save more!! I love meadowsweet, just the best. I love their Paula Press-Woodland designs fabric. Just lovely! I am already signed up for Hawthorn Threads newsletter. I love all of the Sandi henderson - Meadowsweet. I signed up for the weekly newsletter. Thanks, again. 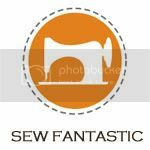 I'm following the Sew-Fantastic blog. Thanks again. I get their weekly newsletter- LOVE it!! I love the Mingle line. That's definitel getting into my stash!! I LOVE the Humming Birds in Lime!! I'm a blog follower(of course!)! This is a great giveaway, thank you!!! well i am going to be completely boring and say that I just can't go past Love by Amy Butler, it is my current favourite! I signed up for their newsletter!! Ugh, there is so much to like! It's scattered all over the place, too! I'm a sucker for birds and confections. Egad. Michael Miller's Sweets are sooo yummy! His Happy/Jewel Tones are rad, too! Tweet Tweet totally melts me, though! Robert Kaufman's Chick-a-dee Chick-a-doo and Sweet Tooth really nail my sweet tooth! If I had to pick just one line, though, Studio e's Nature-ology is just TOO MUCH! I LOVE the flora and fauna line right now. so vibrant! I love the Mingle line of fabric. It would be great for quilts. I follow your blog - love it! I've made a purchase at Hawthorne Threads! Awesome store! I've subscribed to the newsletter! Just made a purchase. Fabulous shop. Wow. I signed up for the newsletter too. The Paris in Sprintime is going to make some beautiful quilts! I'm drooling over that line too! My favorite line? Oh, my.... the "Frolic" is adorable and so is the "What a Hoot"
The whimsy makes me smile. I love Tanya Whelan's Dolce, such a gorgeous line of prints! I'm already signed up to Hawthorne Threads' weekly newsletter! I adore the California Dreamin' in the Morning shades!!! My favorite line? Ack! I'm in sensory overload. If I win, I'll figure something out. tweeting in a second. Thanks! I have already signed up for their newsletter the first time I've heard about them. I've blogged about it - well about my turn anyway. For me its Dolce by Tanya Whelan, reminds me of the CD's perfume. I just found the Hawthorne site today - I love it - esp being able to look for coordinating fabrics! I've been drooling over the Echino for a while now. Now I'm off to sign up for their newsletter! I am eyeing off the new Heather Bailey range 'Nicey Jane'. Loving the colours. 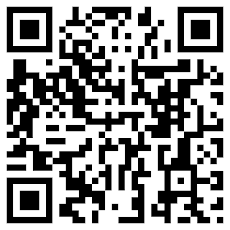 I have already signed up to Hawthorne Threads newsletter and you are so in my Google Reader. Thanks for the giveaway. Oooohhh, Heather Bailey, Nicey Jane!!!!! I get the newsletter!!! Love it!! I blogged, but I can't buy. I have to use up what I have before I can buy more:(. I love Sandi Henderson meadowsweet!! Everything is lovely. Right now because it's December I love the Be Merry line the most! I signed up for their newsletter! I'm looking forward to it every week because I'm new to the sewing/fabric world. OOO, I haven't ever seen the California Dreams collection but I think I have to have it. The owls are super cute too!! This is the first time I have been to Hawthorne Threads, and I am so happy you sent me over thanks! Their selection is wonderful and too hard to pick a favorite but Frolic is on my list. Oh the things I can do with it! The fabrics and prices are great (they even carry flannels) and couldn't get my name on the newsletter fast enough. I don't want to miss out on anything from them. The Frolic line is really cute, but I also love Ginseng by Joel Dewberry! My latest favorite is Nicey Jane by Heather Bailey. Especially the Kissing Booth palette! It's hard to choose from so many wonderful collections. I had to sign up for the Hawthorne Threads newsletter! I am going to have to say My Minds Eye Bloom & Grow and Frolic. Thanks for the giveaway. wow they have a great site. i love their new line of nicey jane and have signed up for their newsletter. I just made my first purchase from Hawthorne Threads on Saturday and was so impressed with the site and the fast shipping--I received my order yesterday. I also signed up for the newsletter. My fave line of fabric they currently have is Nicey Jane--although I purchased from Dolce & Flora & Fauna amoung others on Saturday. Thanks so much for such a great giveaway! I already have you on my reader, does that count?? I like anything with owl on it. My current favorite is Paris in the Springtime. signed up for their newsletter. I have made purchase from them before, and loved the fabric I got. I love anything by Tanya Whelan and Amy Butler they have the most awesome fabric!! I signed up for the weekly newsletter at Hawthorn Threads. I didn't know about Hawthorne threads, but I will be back for sure! I love the Red Letter Day collection by Lizzy House. The walk in the woods fabric is really nice and I love the stripes! I love the wild thyme fabric by Carolin Gavin! I already get their newsletter...very fun.